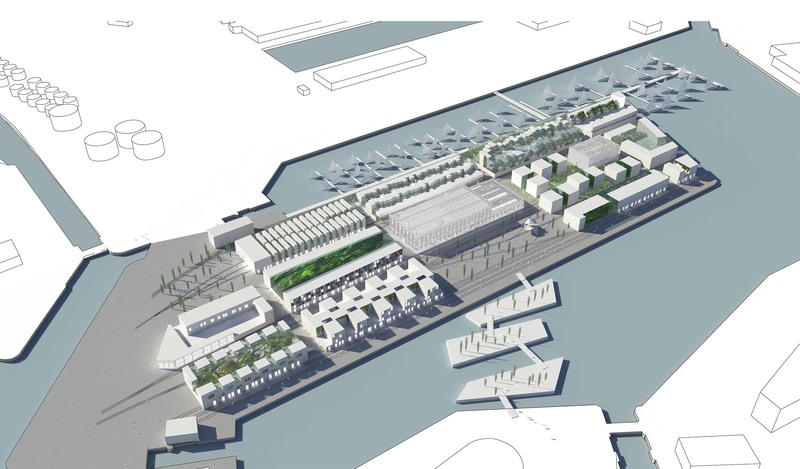 In the transformation of the most eastern part of the port of Dunkerque, Môle 1 plays an essential role. 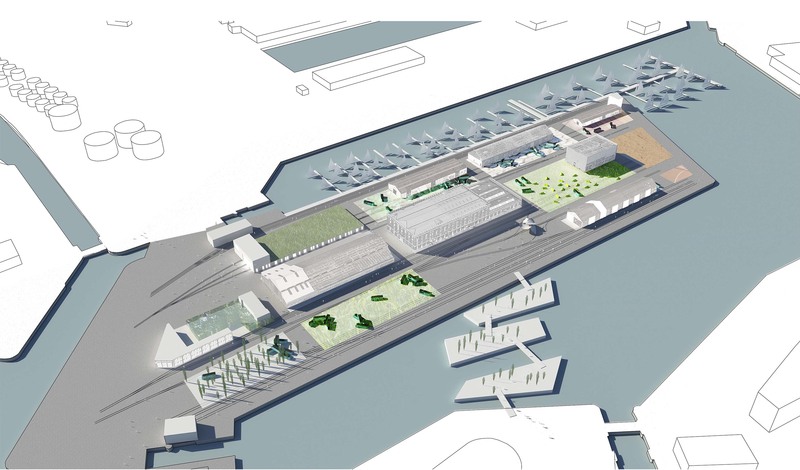 Môle 1 is the first pier that will be revitalised into a mixed-use area with important cultural and public facilities. 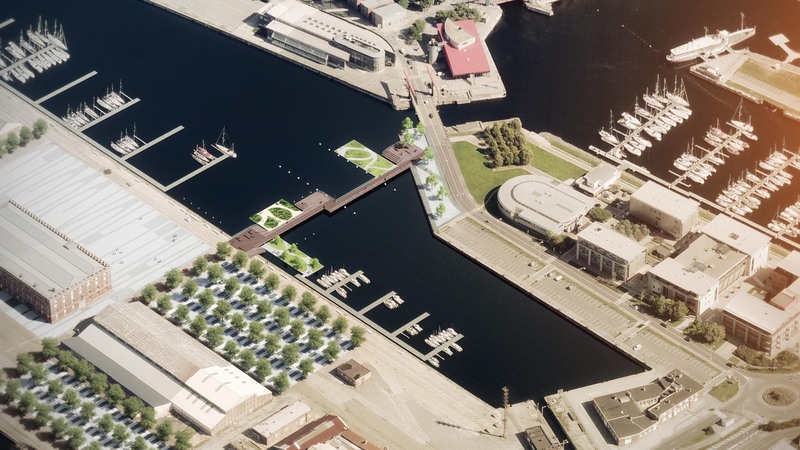 This development demands a new connection between the city centre and this pier: a connection that will constitute both an important physical and mental link. 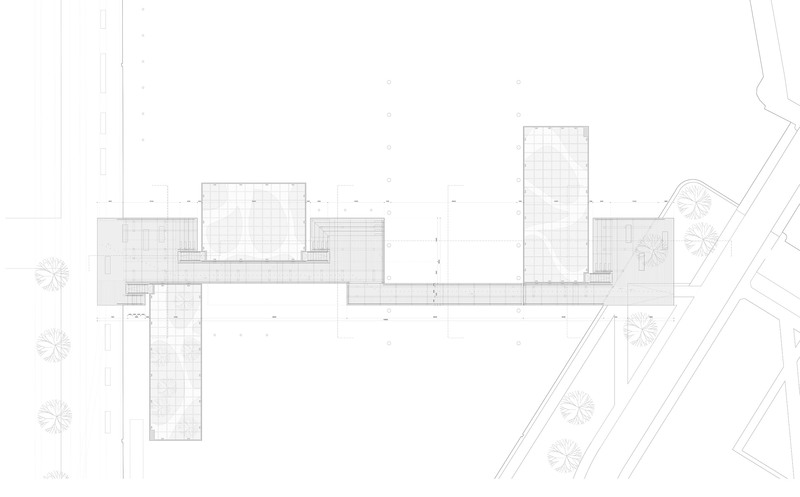 Because of the special nature of the site and the catalysing role this connection has to play, it should not solely connect, but has to offer more. 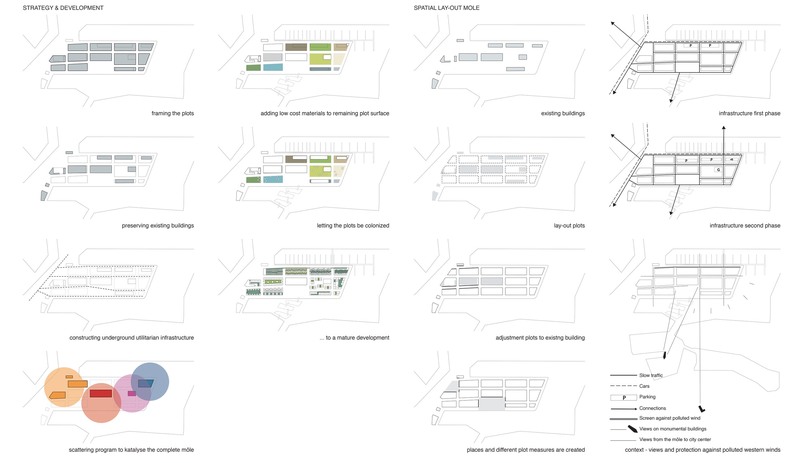 For the competition, for which the three winning teams of Europan 10 were invited, ‘3000’ (Rotterdam) in association with ABT (Delft) and Ingrid Petit (Lille) proposes a connection that gives space : space for activity, creativity and social cohesion. The foot and bicycle bridge is recognizable and inviting, but above all generous for the inhabitants of Dunkerque and her visitors. 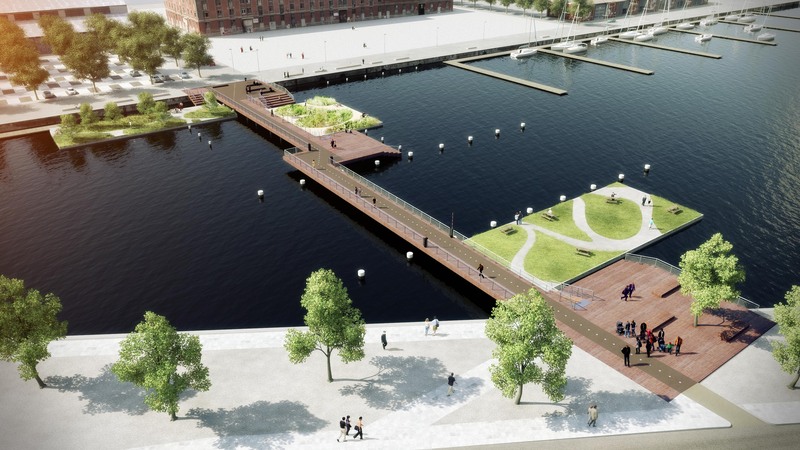 By creating a direct connection to the pier and by catalysing activities on and around the bridge, the connection contributes positively to the functional transformation of the pier. The bridge and isles make tangible the port and climate. A variety of places stimulates the senses and gives space to unexpected encounters, with other visitors or with the atmosphere of the site. On one side the bridge provides a view of the city centre and historical buildings and on the other side a view of the port and remarkable building of the Halle aux Sucres. The isles create a unique and contrasting experience. As they are floating they allow the visitors to come close to the water. As green oases in the middle of a large-scale, mineral context, they provide comfortable space for activity or leisure. In diverse constellations the isles generate various possibilities of use. Moreover, they can be transported to other parts of the port or even to other cities. To make the connection very accessible and to create a simple and efficient construction, the bridge is designed as a flat bridge with a gliding part that can be opened. The materialisation is robust and requires low maintenance, but at the same time is inviting and user-friendly. Next to the isles, also the wooden decks and stairs provide spaces that can be used for various purposes. 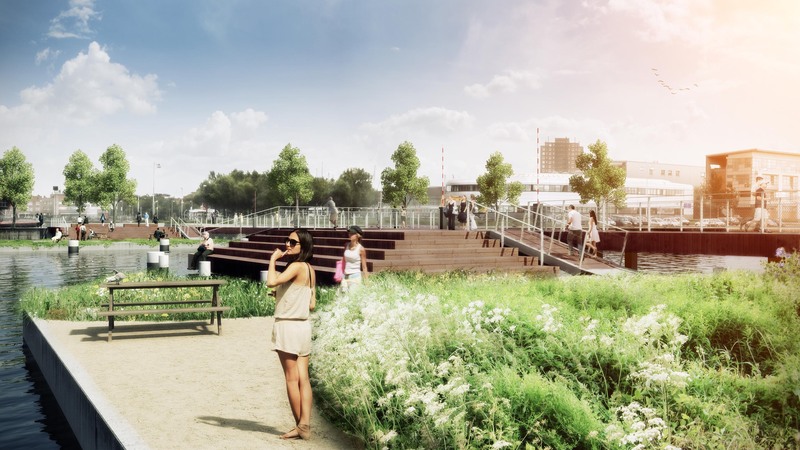 The project is developed with: Edward Schuurmans, Sanne van den Breemer, ABT Delft and Ingrid Petit.